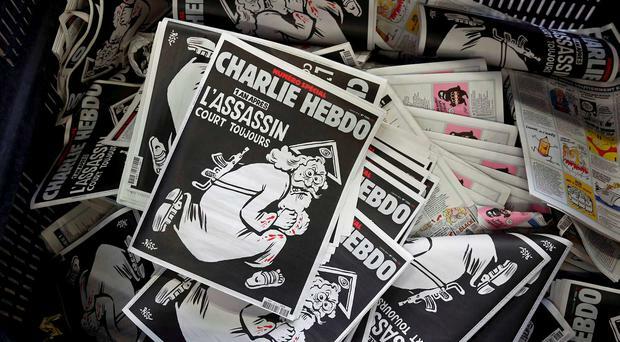 As the special anniversary issue of 'Charlie Hebdo' hits the stands today, its publication marks a year of carnage which started on the morning of January 7. Nick Clegg's leadership of the Liberal Democrats appears to be drawing to an end after a disastrous election night for the party. Here are 10 key points from the election counts. Controversial French newspaper Charlie Hebdo has gone on in sale in select newsagents across Ireland - already selling out in some Dublin spots. The European Union has called for an anti-terror alliance with Arab countries to boost cooperation and information-sharing in the wake of arrests and deadly attacks across Europe. A convicted al-Qaeda terror fundraiser with links to the Paris attacks is residing in the UK and using the Human Rights Act to prevent his deportation to his native Algeria. One of the 12 suspects held in connection with the Paris attacks might have been a "fourth" gunman. In the days since the Charlie Hebdo attack, the daily post at the Islamic Cultural Centre of Ireland is opened with caution. Gardai are monitoring the activities of a group of radical young Muslims in Dublin, the Sunday Independent has learned. RETAILERS still can't confirm when the Charlie Hebdo 'Survivors' Edition' will be delivered to Irish shelves. Anxiety about new jihadist attacks deepened across Europe yesterday, as police in Belgium, France and Germany arrested more than 20 terrorist suspects. Liberals hate the Pope now because he apparently said that free speech shouldn't apply when it comes to religion. A press photographer has been shot in Pakistan during a demonstration against Charlie Hebdo. IRISH-based extremists found to be channelling funds to the terror group Islamic State face the prospect of being investigated by the Criminal Assets Bureau (CAB). Air France yesterday offered its passengers a free copy of the latest issue of Charlie Hebdo after buying 20,000 copies to support the satirical magazine. A TOP al-Qa'ida leader in the Arabian Peninsula (AQAP) has released a video claiming responsibility for the 'Charlie Hebdo' attack and warning the West of more "tragedies and terror". Charlie's new fans all over the world may find the proper Charlie tougher to swallow than the martyred Charlie. When a raiding party from Islamic State of Iraq and the Levant (Isil) attacked a Saudi border post last week, it was no mere hit on a desert outpost. The Obama administration was understandably anxious to play down the significance of a hacking attack that took over the US military command's Twitter and YouTube accounts. British security services are reportedly on "high alert" for a beheading attack in Britain after online "chatter" by jihadists discussing plans to murder soldiers, police and intelligence operatives. The front cover of today's seminal Charlie Hebdo magazine was drawn by Renald Luzier, one of its surviving cartoonists in the wake of the horrific attack which killed 12 at its offices. "France will never yield, will never bend, it will face up"
President Francois Hollande paid homage to the "sacrifice and devotion to duty" of three police officers killed in last week's terrorist attacks, in an emotional ceremony yesterday. France has deployed ten thousand security personnel, including extra armed protection security at Jewish schools. The Obama administration yesterday admitted that it had made a mistake by not sending a senior representative to Sunday's unity march in Paris. Charlie Hebdo: How did it affect ordinary Parisians whose city was under siege?